One advantage that ReactJS developers appreciate is its declarative views that make it more straightforward to create interactive UIs with more predictable views that are simpler to debug. React updates efficiently to your developer’s designed views for each state in the application, appropriately rendering the correct components with the data changes. If you hire a ReactJS developer, they can develop new features without needing to rewrite the existing code. React can also render on the server using Node and power mobile apps using React Native. While these are all important advantages of the library, there are a few more benefits to consider before you find a ReactJS developer to hire. Why Hire a ReactJS Developer? Nothing makes developers happier than easy tests and simple debugging. React views are able to be treated as functions of the state. This means that it’s possible to manipulate the state passed to the ReactJS view to fully understand the output and triggered actions, events, and more. 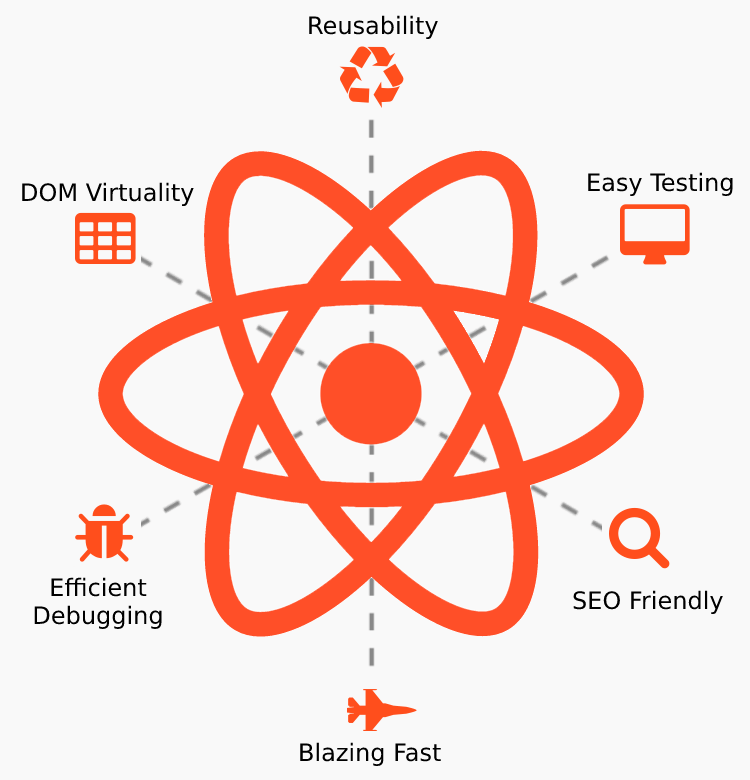 ReactJS works by using a virtual DOM which performs Document Object Model much more efficiently, updating the view in a web application more simply. Because it doesn’t interact with DOM, which can be incredibly inefficient and slow, ReactJS helps add speed. Before you hire your ReactJS developer, you need to know that they genuinely understand the library. Here are the top ReactJS interview questions of 2018. If you want to skip the hard work of finding and interviewing a developer, however, just contact us and we’ll send you a vetted expert. A stateful component, in addition to taking input data, can maintain internal state data that can be accessed via this.state. When a component’s state data changes, the rendered markup will be updated by re-invoking render(). Where should you make an AJAX request? You should make an AJAX request in a React component in componentDidMount. This method is executed when the component is added to the DOM, or mounts, for the first time, so it’s only executed once throughout the component’s life. Developers can’t guarantee that the AJAX request will have resolved before the component mounts, meaning that they could be trying to setState on an unmounted component, leading to errors. Making the request in componentDidMount, though, will make sure there’s a component to update. Now, you know exactly why you’d want to hire a ReactJS developer as well as the best interview questions to ask him or her to guarantee they know the library. To make your life much more straightforward, contact us to do the search and interview for you so that you can have a guaranteed, vetted expert without all of the trouble.